Last box is HM02: New Army Pass Trailhead. Next box is HM02: New Army Pass Trailhead. 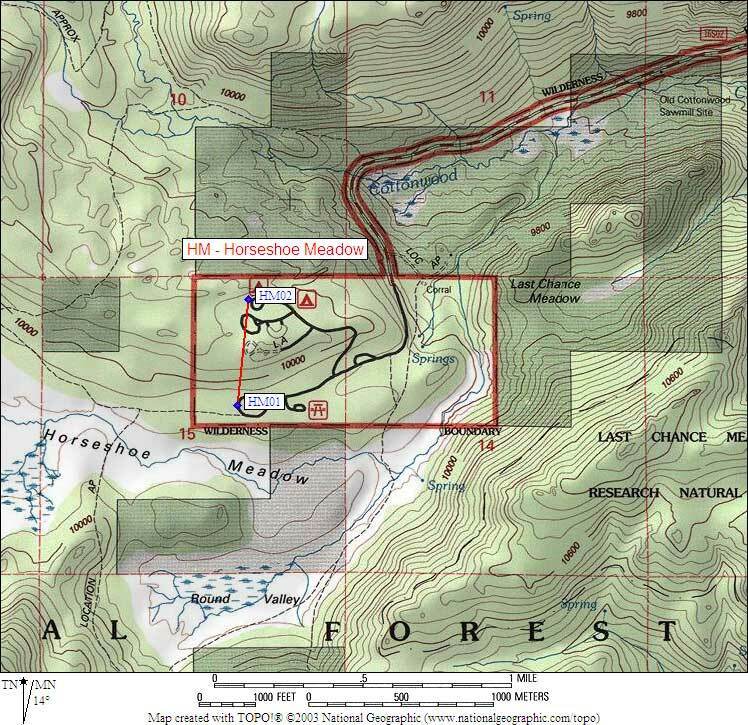 GPS Waypoints in Region HM	: simple Waypoint+ format, download GPX file, or overlay on interactive map. 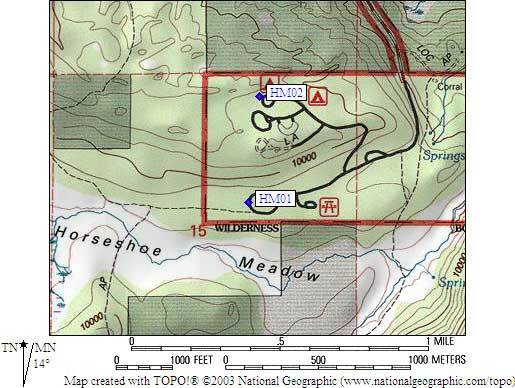 HM01 is 4 standard boxes, at about 9900 feet, in the GPS route HORSESHOE MEADOW. These boxes are near the outhouse and trailhead sign for Cottonwood Pass and Trail Pass, separate from the boxes in the adjacent walk-in campground. (lat,lon) = (36.4481300, -118.1705900) in decimal degrees, NAD83. (zone,east,north) = (11S, 395175.0, 4034095.0) in decimal meters, NAD27. Scroll down for a regional map of the entire Horseshoe Meadow region. Return to overall Bear Boxes page.